Discover, download, transfer and play music anytime, anywhere! AmoyShare AnyMusic 4.0 was available as a giveaway on September 1, 2017! 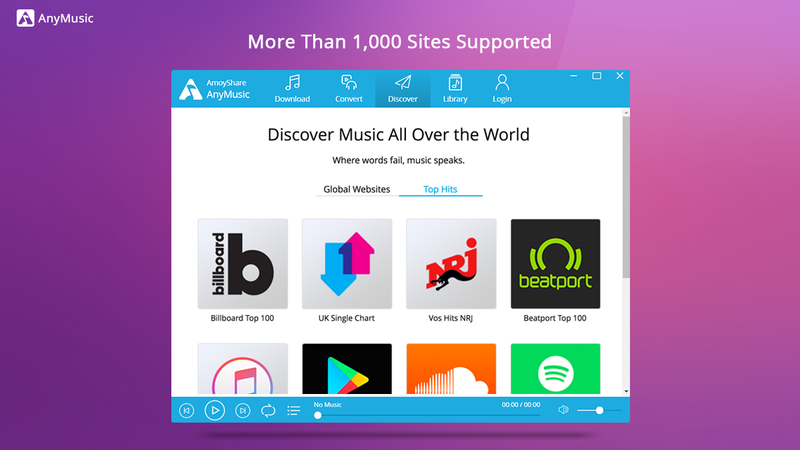 AnyMusic is the best music downloader with more than 1,000+ sites supported. Meanwhile, it’s more than a music downloader, as it also perfectly works as HD video downloader and music player. Discover Free Music. Simply search for a song, artist, album, playlist or link. You can instantly access the unlimited music and videos from multiple online streaming sites, such as SoundCloud, Facebook, and more. Download Free MP3 and HD videos. You can not only directly download music and video, but also convert online videos to MP3 files. Both the download and conversion processes are quick and simple, and you can choose different file formats if needed. Play Music as You Want. The built-in music player supports online streaming, which greatly amplifies your music experience. Manage Your Music Files. You won’t be bothered by your messy music folders anymore. With AnyMusic, you are able to organize your music files in a smart way. No Ads & No Plugins. Please note, the offer includes 1 year free membership! How would you improve AmoyShare AnyMusic 4.0? I would like a 32-bit version. Thanks for your interest in AnyMusic for Windows.On behalf of tech support team, we would like to express our sincere gratitude to you. In order to help you better utilize this tool, we just place this post here with useful guides and more. Register on the giveaway page with valid email and password, and click “Get it for free.” It’s done! You just create a new AnyMusic account and activate the 6-month membership at the same time. 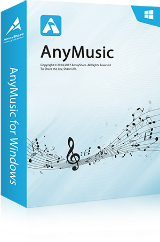 Start by downloading AnyMusic for Windows by click the “Free Trial” button on the https://www.amoyshare.com/anymusic/ . Or here is a direct download link for you https://www.amoyshare.com/download-software/anymusic-win.exe. Launch the program, and enter your email and password to proceed log-in step. Then you can download music as you want! P.S. Some users may want to know about AnyMusic for Mac, just visit the page https://www.amoyshare.com/anymusic-mac/. If you have any problems or suggestions about our product, please feel free to send feedback to us via Facebook or drop an email to support@amoyshare.com. Hello Everyone, Thanks for your interest in AnyMusic for Windows.On behalf of tech support team, we would like to express our sincere gratitude to you. In order to help you better utilize this tool, we just place this post here with useful guides and more. Registration Guide: Register on the giveaway page with valid email and password, and click “Get it for free.” It’s done! You just create a new AnyMusic account and activate the 6-month membership at the same time. Software User Guide: 1. Install AnyMusic MP3 Music Downloader Start by downloading AnyMusic for Windows by click the “Free Trial” button on the <a href="https://www.amoyshare.com/anymusic/" title="homepage">https://www.amoyshare.com/anymusic/</a> . Or here is a direct download link for you <a href="https://www.amoyshare.com/download-software/anymusic-win.exe" title="download">https://www.amoyshare.com/download-software/anymusic-win.exe</a>. 2. Log into AnyMusic Launch the program, and enter your email and password to proceed log-in step. Then you can download music as you want! Music Download Tutorial: <a href="https://www.amoyshare.com/free-mp3-finder/get-free-music.html" title="Music Download Tutorial">https://www.amoyshare.com/free-mp3-finder/get-free-music.html</a> P.S. Some users may want to know about AnyMusic for Mac, just visit the page <a href="https://www.amoyshare.com/anymusic-mac/">https://www.amoyshare.com/anymusic-mac/</a>. If you have any problems or suggestions about our product, please feel free to send feedback to us via Facebook or drop an email to <a href="mailto:support@amoyshare.com" title="support@amoyshare.com">support@amoyshare.com</a>. Welcome to follow us on Facebook, just click on here https://www.facebook.com/amoyshare/. AnyMusic, "activate the 6-month membership"?? You just said it was ONE YEAR: "Please note, the offer includes 1 year free membership!" AnyMusic, "activate the 6-month membership"?? You just said it was ONE YEAR: "Please note, the offer includes 1 year free membership!" So, which is it?? Hi Tranmontane, sorry that we made a mistake here. It's a 1-year membership for free. Thank you, we're glad you like our product! This giveaway campaign is running through a landing page, so you don't need any activation code or something like that. Just register on the landing page and use the email and password to log into AnyMusic. Hi Whiterabbit-uk, Thank you, we're glad you like our product! This giveaway campaign is running through a landing page, so you don't need any activation code or something like that. Just register on the landing page and use the email and password to log into AnyMusic. k singh, Hi, how can I help you? why it can not be installed on 32 bit window? Something unknown goes wrong, and our technician is checking now. I will let you know when this issue is fixed. k singh, Something unknown goes wrong, and our technician is checking now. I will let you know when this issue is fixed. Downloaded it and registered an account. And I was able to download some music immediately. Fantastic! I registered with no problem but today I tried to download a song and it tells me i can only play 10 songs a day with the trial version. It shows that I'm logged in and registered but it won't allow recording. i thought the title said play, download songs. I registered with no problem but today I tried to download a song and it tells me i can only play 10 songs a day with the trial version. It shows that I'm logged in and registered but it won't allow recording. i thought the title said play, download songs. Well I have screwed around with this enough for tonight and am getting really frustrated. I followed instructions went to page filled out info said I was good to go logged into account no prob. Go back to program says unregistered, Closed program , opened program still says unregistered I use user and pass I used in the page sign in and no prob logging in but still says 14 day free trial. tried different email addy to make sure I did it correctly and get same thing unregistered and 14 day free trial. I hope with me posting here this company will make good and fix things tomorrow as I have had it with this tonight and if they don't want to make good there is always the good ole uninstall button which I am tempted to use right now. The main page of the program I find very confusing there is no place to check anything like other programs where you have options you can change or even the simple this program is registered to GOTD isn't even one of those. If you log in you get the 14 day free trial if you log out it says unregistered. I don't get it very confusing and user unfriendly I have found so far and I haven't even tried to use the program yet I just spent the last half hour or more trying to just get it registered. Sorry folks that's all the info I have on this one so far very frustrated never had this problem with any of the other programs I had to register the very same way! Well I have screwed around with this enough for tonight and am getting really frustrated. I followed instructions went to page filled out info said I was good to go logged into account no prob. Go back to program says unregistered, Closed program , opened program still says unregistered I use user and pass I used in the page sign in and no prob logging in but still says 14 day free trial. tried different email addy to make sure I did it correctly and get same thing unregistered and 14 day free trial. I hope with me posting here this company will make good and fix things tomorrow as I have had it with this tonight and if they don't want to make good there is always the good ole uninstall button which I am tempted to use right now. The main page of the program I find very confusing there is no place to check anything like other programs where you have options you can change or even the simple this program is registered to GOTD isn't even one of those. If you log in you get the 14 day free trial if you log out it says unregistered. I don't get it very confusing and user unfriendly I have found so far and I haven't even tried to use the program yet I just spent the last half hour or more trying to just get it registered. Sorry folks that's all the info I have on this one so far very frustrated never had this problem with any of the other programs I had to register the very same way! Downloaded and installed and set up an account but it still says my copy is unregistered. After selecting songs, how do we start the actual music download? I did everything that was required for me but I can't download any songs. When I select the file to download I get a message telling me that the 14 day trail allows me to download 10 song per day...I can't download any songs at the moment. When I check on the "already purchased then I get a screen that tells me that I am already logged in. We're sorry for the inconvenience. Our technician is checking this problem, and I'll let you know when this is fixed assp. Hi Brian, We're sorry for the inconvenience. Our technician is checking this problem, and I'll let you know when this is fixed assp. Brian, try to update the program. Here it seems to work. Before I did get the same fault; after an update all went fine. Brian, try to update the program. Here it seems to work. Before I did get the same fault; after an update all went fine. The version you offered here on GOTD in March installed on 32-bit and 64-bit XP, Vista, Win 7, but had some issues with Win 10. There seemed to be an update that would allow the program to work on Win10, however I never got around to trying it. The March version was stated as version 1.0, and today, the version has jumped to version 4.0. As far as capabilities, I do not see that anything changed. Obviously, something changed, but it seems for the worse. Today, in spite of the system requirements implying the program would install for the same systems, you offer another iteration of the software but now it requires Win7, and only works if it is 64-bit. Most of my work is on a Win7 system, however I still use some XP machines, and also Win10, but much less. I had considered extending the service of your product once the trial ends, however it seems that that the 32-bit system I wanted to use it on would not be supported. By no longer developing for operating systems that could utilize your product, you are losing out, and creating less trust with your users. When Microsoft produced Windows XP, it was so successful that users had everything they needed; even when Vista came out, there was little reason to upgrade. Microsoft realized that creating a solid OS also meant that they could not get those same users to spend more money on the new versions, so the decision was to end support for XP, even though it worked just fine for the majority of its users. Vista initially had serious issues with older hardware, especially ones with less memory. Rather than fix Vista, Win7 was introduced with great success, so much that Microsoft realized they had created another OS version that users would want to hold on to for a long time, again, a loss of upgrade money they could earn from the upgrades. Microsoft now would like to end support for Win7, and again, they are meeting the same resistance from users. If all that wasn't bad enough, some software developers stopped supporting XP, based on Microsoft's decision to no longer support it. At the same time many other software developers seem to have no problem continuing to develop software for XP (I hope they prosper). The companies that end support for XP are concerning because they could very well use the same logic to drop support for Win7. I have less interest in investing my money in a product from the companies that may decide for me that a piece of hardware I own and the operating system I have installed on it can no longer be used. I had much rather invest in those companies that are able to support a wider range of operating systems. I hope you will correct your issue that this edition has, and be convincing that you do want us users to invest in your products. @AmoyShare, The version you offered here on GOTD in March installed on 32-bit and 64-bit XP, Vista, Win 7, but had some issues with Win 10. There seemed to be an update that would allow the program to work on Win10, however I never got around to trying it. The March version was stated as version 1.0, and today, the version has jumped to version 4.0. As far as capabilities, I do not see that anything changed. Obviously, something changed, but it seems for the worse. Today, in spite of the system requirements implying the program would install for the same systems, you offer another iteration of the software but now it requires Win7, and only works if it is 64-bit. Most of my work is on a Win7 system, however I still use some XP machines, and also Win10, but much less. I had considered extending the service of your product once the trial ends, however it seems that that the 32-bit system I wanted to use it on would not be supported. By no longer developing for operating systems that could utilize your product, you are losing out, and creating less trust with your users. When Microsoft produced Windows XP, it was so successful that users had everything they needed; even when Vista came out, there was little reason to upgrade. Microsoft realized that creating a solid OS also meant that they could not get those same users to spend more money on the new versions, so the decision was to end support for XP, even though it worked just fine for the majority of its users. Vista initially had serious issues with older hardware, especially ones with less memory. Rather than fix Vista, Win7 was introduced with great success, so much that Microsoft realized they had created another OS version that users would want to hold on to for a long time, again, a loss of upgrade money they could earn from the upgrades. Microsoft now would like to end support for Win7, and again, they are meeting the same resistance from users. If all that wasn't bad enough, some software developers stopped supporting XP, based on Microsoft's decision to no longer support it. At the same time many other software developers seem to have no problem continuing to develop software for XP (I hope they prosper). The companies that end support for XP are concerning because they could very well use the same logic to drop support for Win7. I have less interest in investing my money in a product from the companies that may decide for me that a piece of hardware I own and the operating system I have installed on it can no longer be used. I had much rather invest in those companies that are able to support a wider range of operating systems. I hope you will correct your issue that this edition has, and be convincing that you do want us users to invest in your products. Does the unregistered part of the program at the top left next to AnyMusic, go away even though you logged in with your name and email? No problems installing or downloading music, but says 14 day trail limited to 10 downloads a day . Yes I did log in. As I was unable to open this program when I first downloaded earlier today, I just deleted the program and tried downloading again. It became activated but I am unable to even open the program. I am very disappointed as I am looking for a music sharing program to buy. Installed and registered on a 64 bit Windows 7 machine. When run icon appears in the taskbar but nothing else happens. Not asked to login and visiting streaming sites has no effect. Appears to be a waste of time installing. I would like an extension on this giveaway because you guys put up the 64bit program instead of the 32bit but didn't say that 64bit is required so please to be sinding me a link to the 32bit Giveawayoftheday please oh please! Sorry for that. Please send us your mail to our support mailbox, our guys will help you about 32bit. Keith Monson, Sorry for that. Please send us your mail to our support mailbox, our guys will help you about 32bit. Keith Monson, We're sorry for the inconvenience. Our technician is checking this problem, and I'll let you know when this is fixed assp. Don't use the direct download link the developer put in the comment section. You won't have any way to register. Use the green "download now" button next to the ticking clock on the GAOTD page. This will give you the necessary zip file. However, this program seems to only download the lowest resolution videos from Youtube. They're useless to me. I've tried a number of them. Registered and logged in but only have a limited 14 day usage. I installed it and then went to the website and registered. When I open the program and try to log in, I get an error message saying incorrect username or password. If I click on the link for forgotten password, I get an error there also. Installed, set up password, said "registered." However the App after logging in, says Unregistered, Trial version, 14 days. Uninstalled and re-installed. Won't let me re-register, because I am already registered. Upgraded to current version. Same problems. Will uninstall again. If it's this difficult to simply install, I don't want it. The System requirement advertised on Giveawayoftheday says "Windows XP/ Vista/ 7/ 8/ 10". However, after i wasted my time and data to download the software, during installation, it says "64 bits windows required". I have a 32 bits system. Why didn't Amoyshare specify? MAHMOUD ABDULLAHI, Sorry for that. Please send us your mail to our support mailbox, our guys will help you about 32bit. MAHMOUD ABDULLAHI, We're sorry for the inconvenience. Our technician is checking this problem, and I'll let you know when this is fixed assp. Hi Ari, We're sorry for the inconvenience. Our technician is checking this problem, and I'll let you know when this is fixed assp. Just tried to install this using the wrapped installer provided by GAOTD and the wrapper works fine, the installer launches then stops with an alert stating that it requires Windows 7 or later! The System Requirements above clearly state "Windows XP/ Vista/ 7/ 8/ 10"
I'm trying to install it on Vista SP2. shows same error, and when the embedded app-64.7z is examined in 7zip it shows the binaries included are 64-bit only windows 7 and above. Just tried to install this using the wrapped installer provided by GAOTD and the wrapper works fine, the installer launches then stops with an alert stating that it requires Windows 7 or later! The System Requirements above clearly state "Windows XP/ Vista/ 7/ 8/ 10" I'm trying to install it on Vista SP2. The installer provided at https://www.amoyshare.com/anymusic/download-win.html shows same error, and when the embedded app-64.7z is examined in 7zip it shows the binaries included are 64-bit only windows 7 and above. Installed okay, had to disable anti-virus - never like to do that. I thought maybe updating the application to version 4.0.5 would fix the problem. No built-in updater; had to update manuall by downloading another installer. Blocked by smart-screen filter initially. Updating seemed to have fixed the problem, however I never appreciate apps who lure and force users to download something from their servers, instead of providing it from GOTD as they should. Does load whole playlists. Doesn't like some videos, the options to download it never show up, it just keeps loading them indefinitely. Overall, seems very slow with the interface, loading any options takes a long time. Not pleasant to use. In my experience the program is slow and unreliable. When it does finally show the formats available to download, after choosing one it sometimes does nothing. I'll stick with the FREE ClipGrab which isn't bloated and works heavens better. Thank you but no thank you. Installed okay, had to disable anti-virus - never like to do that. Downloaded a song from YouTube. Tried another one - told me I'm a trial user and can only download so-many a day (only downloaded one so far, great) I thought maybe updating the application to version 4.0.5 would fix the problem. No built-in updater; had to update manuall by downloading another installer. Blocked by smart-screen filter initially. Updating seemed to have fixed the problem, however I never appreciate apps who lure and force users to download something from their servers, instead of providing it from GOTD as they should. Does load whole playlists. Doesn't like some videos, the options to download it never show up, it just keeps loading them indefinitely. Overall, seems very slow with the interface, loading any options takes a long time. Not pleasant to use. In my experience the program is slow and unreliable. When it does finally show the formats available to download, after choosing one it sometimes does nothing. I'll stick with the FREE ClipGrab which isn't bloated and works heavens better. Thank you but no thank you. Downloaded the program and set up an account was able to download some music, but, now a "14 day trial period" message appears. I don't use 'Social Media' but I instantly received a link and the software downloaded very quickly. I checked the text file and then ran the setup.exe file. I saw the GAOTD screen which approved the download but then I received a window saying "Failed To Launch The Programme." I've been using GAOTD for several years but I've never had this problem before. Does this screen mean that the server is overloaded (i.e. too many people downloading right now) and I should keep trying. To be honest, I thought that when Firefox told me the download had finished, I thought that meant the programme was in my download folder and just needed to be installed ? I'm running Win 10, 64 bit version. Can anyone help, please. That message usually means your security has blocked the installation. probably because of the Themida code that wraps the executable. you can either reboot in safe mode with networking or temporarily turn off your security (at your own risk). Or using the link provided in the read me i.e. 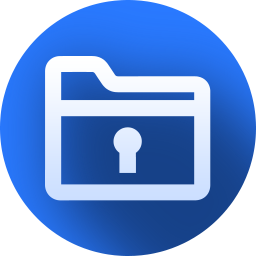 , go to the appropriate page HERE, then fill in the asked for details (email, password and name, then you'll have access to an unwrapped executable that should install the necessary files with no problems. hope this helps? framplot, That message usually means your security has blocked the installation. probably because of the Themida code that wraps the executable. you can either reboot in safe mode with networking or temporarily turn off your security (at your own risk). Or using the link provided in the read me i.e. , go to the appropriate page <a href="https://www.amoyshare.com/promotion/anymusic-gotd/" rel="nofollow"><strong>HERE</strong></a>, then fill in the asked for details (email, password and name, then you'll have access to an unwrapped executable that should install the necessary files with no problems. hope this helps? Any legal issues when downloading music; songs? Commercial usage vs personal private usage? Full songs vs sample? Any legal issues when downloading music; songs? Commercial usage vs personal private usage? Full songs vs sample? Hi there, all music downloads by AnyMusic can only be used for non-commercial usages. Why only for 64 bit? I have Win 32 bit so not much use to me, which is a pity. I understand when it suggests downloading a update I should decline? Even during this free year? The free membership won't be influenced by software updating, so just update to the newest version of AnyMusic to get the best music experience. Have fun! Hi Piotr Obminski, The free membership won't be influenced by software updating, so just update to the newest version of AnyMusic to get the best music experience. Have fun! I downloaded and installed from GOTD, but now it says that I only have the 14 day trial, which limits the downloads to 10 songs per day free. I logged in with the username and password that I created as instructed. Hi Ross Judd, we're sorry about the trouble you encountered. We just want to check did you follow the instructions to register on the giveaway landing page? Ross Judd, I got the same message. I saw an option for a free year on the website but I don't see a way to log back in and look for it. Ross Judd, After disabling Avast for 1 hour I was able to install the program. I had same problem after giving email and user name with password on AnyMusic website. Next after starting up the program there is no place on program which shows its registered. After trying one song it shows a 14 day trial. Even though the program recognizes my name and password. When trying to register this product, I was told my email was already used. I DID use it on March 8th, for the download on this day. I can not find anyplace to login on the site, so I guess I can not get this GOTD. So sorry as I found this product one of the best I have ever used! It seems like this giveaway is only for new users. Perhaps you can use another email to sign up a new account. Gia, After installation I was able to login with the account of March. So, I've downloaded, visited the site, registered, logged in. Searched for music, found what I wanted, played the track, then tried to download. All I get is a message that says: 'The 14-day trial allows you to download 10 songs per day for free. After that you can't get free music downloads...' Even if I have only been registered for a 14-day trial (which I'm not - I have the full programme for a year) this would mean that I have nine free downloads to go - and they're not allowing me to download even one). At the bottom it says: 'Already purchased? Log-in now'. Well I'm already logged in, but I click nonetheless. It takes me to my already-owned page. I try again - get the same message. I log out and back in. Same problem. Also, there are four sources: YouTube/Archive/Jamendo/4Shared. I can already download and convert from YouTube. The other three don't give me anywhere near the range. 4Shared mostly just gives you the title you're looking for, but not the artist. You have to play each track first to find out whether it's the one you want. Also, the first time I hot download, the track (the wrong one) started playing and I could find no way of stopping it. Finally killed it in Task Manager. So, I've downloaded, visited the site, registered, logged in. Searched for music, found what I wanted, played the track, then tried to download. All I get is a message that says: 'The 14-day trial allows you to download 10 songs per day for free. After that you can't get free music downloads...' Even if I have only been registered for a 14-day trial (which I'm not - I have the full programme for a year) this would mean that I have nine free downloads to go - and they're not allowing me to download even one). At the bottom it says: 'Already purchased? Log-in now'. Well I'm already logged in, but I click nonetheless. It takes me to my already-owned page. I try again - get the same message. I log out and back in. Same problem. Also, there are four sources: YouTube/Archive/Jamendo/4Shared. I can already download and convert from YouTube. The other three don't give me anywhere near the range. 4Shared mostly just gives you the title you're looking for, but not the artist. You have to play each track first to find out whether it's the one you want. Also, the first time I hot download, the track (the wrong one) started playing and I could find no way of stopping it. Finally killed it in Task Manager. Am I missing something here? Thank you so much for figuring out the problem that we haven't noticed. We'll work on the problems you mentioned above immediately. We'd love to hear the voice from users as always, so please feel free to contact us if you have any additional questions or suggestions. Again, thanks for making AnyMusic better and better! Hi Anairb, Thank you so much for figuring out the problem that we haven't noticed. We'll work on the problems you mentioned above immediately. We'd love to hear the voice from users as always, so please feel free to contact us if you have any additional questions or suggestions. Again, thanks for making AnyMusic better and better! Is this only for 64 bit windows? I registered but can't run the download from GATD. If I download the win file from the program creator's site I get a message saying 64 bit windows is needed. I use Windows 7 32 bit. Brad, We're sorry for the inconvenience. Our technician is checking this problem, and I'll let you know when this is fixed assp. Their specific list of 1000+ sites https://www.amoyshare.com/sites/ has lots of broken links and sites with shut down messagegs. I used Fast Link Checker (FLC) from another giveaway to do a prelimary scan of the page and it came back with 93 flagged as Broken while others like http://22tracks.com/ show as live in FLC but are in fact non-functional. 1000+ is more than optimistic at this time less that 1000 listed work today. Their specific list of 1000+ sites https://www.amoyshare.com/sites/ has lots of broken links and sites with shut down messagegs. I used Fast Link Checker (FLC) from another giveaway to do a prelimary scan of the page and it came back with 93 flagged as Broken while others like http://22tracks.com/ show as live in FLC but are in fact non-functional. 1000+ is more than optimistic at this time less that 1000 listed work today. Thank you so much for figuring out the problem that we haven't noticed. We'd love to hear the voice from users as always, so please feel free to contact us if you have any additional questions or suggestions. We'll work on this after the giveaway campaign. Again, thanks for making AnyMusic better and better! Hi TK, Thank you so much for figuring out the problem that we haven't noticed. We'd love to hear the voice from users as always, so please feel free to contact us if you have any additional questions or suggestions. We'll work on this after the giveaway campaign. Again, thanks for making AnyMusic better and better! Difficulty downloading the software "Failed to connect please try later" is the pop up i keep getting. Overwhelmed?? You'll be needing 64 bit achitecture. Hi lidl1, We're sorry for the inconvenience. Our technician is checking this problem, and I'll let you know when this is fixed assp. So what happens after the 1 year? Does the program just stop updating, or it stops working altogether? Will there be a renewal of membership possible at favorable rates, if so what specifiacally? Or will it be the full price, which seems quite high by the way? It looked very attractive, till I reached the clarification: “Please note, the offer includes 1 year free membership!” So what happens after the 1 year? Does the program just stop updating, or it stops working altogether? Will there be a renewal of membership possible at favorable rates, if so what specifiacally? Or will it be the full price, which seems quite high by the way? tomcat, No reply for your query i am also waiting for the reply from AnyMusic!!! Of course, you can renew the membership one year later. Please pay attention to the 2-year special offer on the landing page. You can get 2-year membership with only $18.88, and it's a really favorable rate. When the 1-year membership expires, you cannot download the free music anymore, but you can still search and stream the music with AnyMusic. Besides, we'll keep updating AnyMusic and all users can get this. Hi tomcat, Of course, you can renew the membership one year later. Please pay attention to the 2-year special offer on the landing page. You can get 2-year membership with only $18.88, and it's a really favorable rate. When the 1-year membership expires, you cannot download the free music anymore, but you can still search and stream the music with AnyMusic. Besides, we'll keep updating AnyMusic and all users can get this. Sorry for the late response, and you can check for the reply to tomcat above. Hi joji, Sorry for the late response, and you can check for the reply to tomcat above. tomcat, Sorry for the comment from AnyMusic caused some misunderstanding. It is 1-year free membership as we promise to GOTD. After one year, you can keep using AnyMusic as free trial status, you can play and manage your downloading libraries as you wish, but you can NOT download new stuffs anymore. Yes, we can provide a specific discount for our old user including from giveaway. Actually we provide a 2-year license only $18.88 in the promotion page you joined this giveaway. It means you only need to pay $18.88 to get the second year after the free period. thanks for your kindly questions. tomcat, Sorry for the comment from AnyMusic caused some misunderstanding. It is 1-year free membership as we promise to GOTD. After one year, you can keep using AnyMusic as free trial status, you can play and manage your downloading libraries as you wish, but you can NOT download new stuffs anymore. Yes, we can provide a specific discount for our old user including from giveaway. Actually we provide a 2-year license only $18.88 in the promotion page you joined this giveaway. It means you only need to pay $18.88 to get the second year after the free period. thanks for your kindly questions. Opening the...program (having registered it) there's a "Check For Updates" box--whereupon one proceeds to...download this update: version 4.05 (versus 4.0 from here). Are we to...PROCEED UPON this update--or, is it...BEYOND today's offering, and, hence (maybe) reverting program to "free version", or, paid, only, option? Like to...know: BEFORE MY installing this "update"--IF THAT'S not being offered ourselves...itself, GOTD-wise, right? Thanks...(either way), of course! Don't worry, this 1-year membership is applied to all version of AnyMusic. So just download the new version to get full features of AnyMusic. Hi David Ulrich, Don't worry, this 1-year membership is applied to all version of AnyMusic. So just download the new version to get full features of AnyMusic. I read this at first as "Annoy share any music" which is what a lot of people do! Especially what is nowadays called "music", heavy beats at high volume, It put me off, but I am not interested anyway but that does not mean it is not useful for others perhaps. lazative, Your choice of music tastes isn't really of interest to anyone but yourself, your comment doesn't help others decide whether the software is worth having or not.